All students receive a Sea iPad, included with the price of tuition, which is upgraded to the newest model every two years. We are proud to offer students and families one of the lowest tuition rates in the region at $7,650. We also offer sibling discounts. Entrance to Sea is heavily dependant upon the TACHS Exam. This year the exam will be held on November 4th. 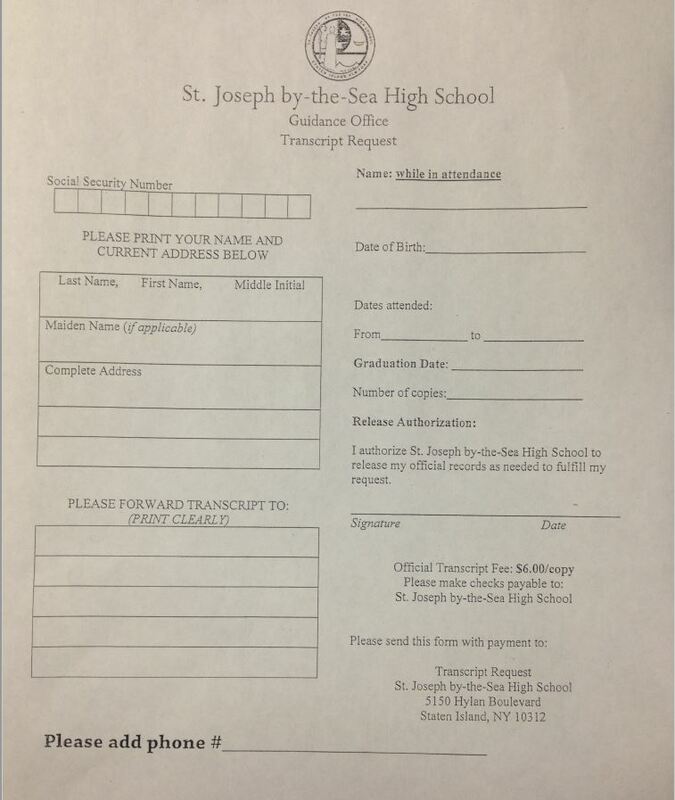 Admission to St. Joseph by-the-Sea is competitive and based primarily on the student’s performance on the Test for Admission into Catholic High Schools Exam (TACHS Exam). All applicants are required to take this standardized aptitude and achievement test. Selection is based on scores obtained on the exam. Baptized Roman Catholic students of Staten Island (or those who will be) who have received (or those who will receive) First Communion and Confirmation and indicate Sea as their first or second choice are considered for admission. The number of boys and girls accepted into the freshman year is based on our overall enrollment objectives. Usually, 200 boys and 200 girls are admitted. St. Joseph by-the-Sea is not staffed to provide for IEP students with special needs. Senior Courses in Writing and Speech or an approved substitute. Schedule a Private Tour With Us Today!